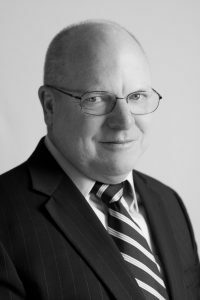 Dr. Thomas L. Porter, CPA, is an expert on Generally Accepted Accounting Principles (GAAP), Generally Accepted Auditing Standards (GAAS), SEC Regulations, International Financial Reporting Standards (IFRS), and tax issues. He holds the Accredited in Business Valuation (ABV) credential from the American Institute of Certified Public Accountants (AICPA). Dr. Porter has published articles in The Securities Litigation Journal, The Journal of Business Finance and Accounting, Research in Accounting Regulation and The Journal of Financial Research. Dr. Porter has provided expert opinions and testimony in numerous matters as an accounting and financial expert in courts, including Delaware Chancery Court as well as in arbitration hearings. Dr. Porter has testified on behalf of both claimants and respondents in disputes involving valuation, special purpose entities (SPEs), cost allocation schemes for common costs in mutual funds (including hedge funds), the reasonableness of choices within GAAP, disclosure adequacy, insolvency and tax issues. Copyright © 2016 Crowninshield Financial Research, Inc.